It’s been a while we talked about iPhone on yomiprof.net but this issue has been bordering some iOS users most especially when it comes to iPhone unlocking. 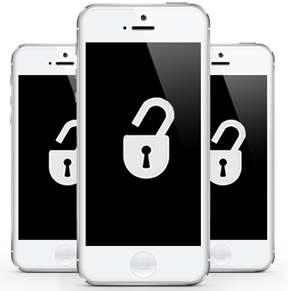 iPhone locked to a carrier will only allow you to use that carrier sim on your iPhone device. unlocking your iPhone means that you can use it with different carriers. If your iPhone is locked to a particular carrier, it can be truly frustrating. Some iPhones will only work with a SIM card provided to the carrier they’re locked to – O2, EE, TESCO or Vodafone, for example. But there are other ways to unlock your iPhone so that you can use any SIM card. I’m going to show you how to unlock your iPhones the easy way. How Do I Know if my iPhone is locked? I recently unlocked an iPhone 5 for a client using Doctor sim. 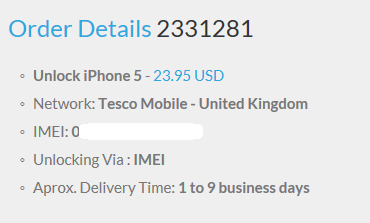 The iPhone was locked to TESCO Mobile and it was done between 1- 9 business days. >>Check the network your phone is locked to by going to settings>>about phone and the info will be displayed. >>Fill the network your iphone is locked to and your details in the space provided. >>fill your 15 digits iphone imei, email and optional phone number. In my case, I paid $23.95 (N8,622). The iPhone was unlocked via imei from apple server within 5 business days and all I needed to do was to insert another network sim, connected to a wi-fi and the activation was done. How to unlock icloud nko, i have iphone 8 wasting here in icloud. Help, anybody. Short and precise.. Good info prof at least I now know that the doctor sim site is trustworthy. Wow this is good. Will learn from this. I have samsung note 3 that is locked have tried every means but to no avail. I tried contacting U S but the said i should contact South Korea where the phone is from. but South Korea has not replied my mail since then. Hello prof, my cousin’s iPhone icloud was forgotten and the phone is there useless. is there any way to re-install another iOS? I have tried to do factory resset, it still asks for email password. any remedy pls? Meaning its icloud locked? Do you still have access to the email used to reg for iCloud? if you don’t, then you’ll need to do iCloud unlock… Factory reset won’t work.